It's been a long cold winter. My fishing trips are far and few between. I'm starting to forget what it feels like to catch a fish! The last few times i have gone i have gotten skunked. I know that more time on the water gives me more of a chance to catch a fish but I can't make it out as often. Plus as of this past year I have gotten addicted to bass fishing and so i have been trying for bass a lot and they are harder to catch right now. I have also been out striper fishing twice and sturgeon fishing twice. few bites and no fish. Maybe I am just out for the wrong fish. I know trout fishing is good right now but I haven't been out trout fishing yet. I honestly can not wait for spring to begin. Spawning seasons were good to me last year. hopefully it will be the same this year.Well anyway, just checking in. Hopefully I will be fishing with my buddy Sean this weekend in his boat. Yes, i said boat. Sorry guys. 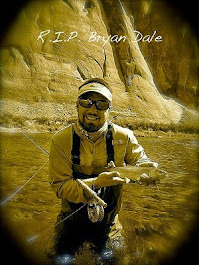 I know i am betraying the blog name here, but he fishes by boat and he's one of my only fishing buddies so we must boat! Anyway, have a good three day weekend gents! Fish on!